ESA's exploration strategy considers the Moon as the next destination for humans venturing beyond low Earth-orbit and an integral part of the roadmap towards human missions to Mars. The Moon 2020-2030 Symposium aimed at consolidating an international vision for lunar exploration by 2030, and discussing approaches and innovative ideas for realising this vision. During the Symposium, space agency, academic and industrial players provided their view on how to better engage in a new era of coordinated human and robotic exploration in the interest of science and human expansion. 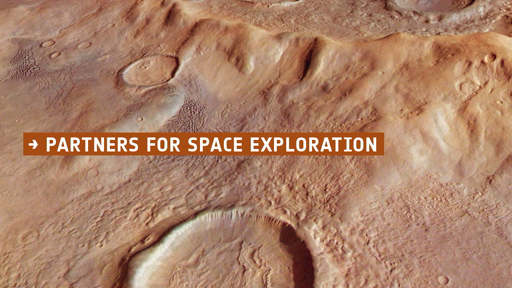 This ESA "call for ideas" represents a unique opportunity for the private sector to shape and engage as a strategic partner in the future global space exploration undertaking. ESA wants to assess the interest of the private sector in implementing the Agency's space exploration strategy. To date space exploration is an institutional domain led by space agencies. However, an increasing number of initiatives coming from the private sector have recently emerged that could lead to a paradigm shift in space exploration strategies.